This salad dressing has almost always been part of my rotation of salad dressings and I can’t praise it enough. It never fails me. It’s easy and delicious just as it is and has enough kick and bite to hold up to any lettuce. I go traditional with romaine and add protein which is a whole dinner on it’s own. This is a keeper, Hold on to this recipe. I remember trying so many versions when I came up with this one, some were too this and some were too that, but we love this one! This is by far one of Joel’s favorites. I have already posted this and I am re-posting it because it sort of got lost under my other salad dressing. ( mustard Vinaigrette) so here it is all on its own with a picture all its own. it is a delicious dressing, easy to make with the mini processor. I put all ingredients into the food processor and chop and blend! so easy and so delicious! and only 3 tablespoons of olive oil. Perfection! I really do make this salad dressing all the time. Always stock anchovies, Worcestershire sauce , eggs, olive oil, lemons and Dijon mustard! 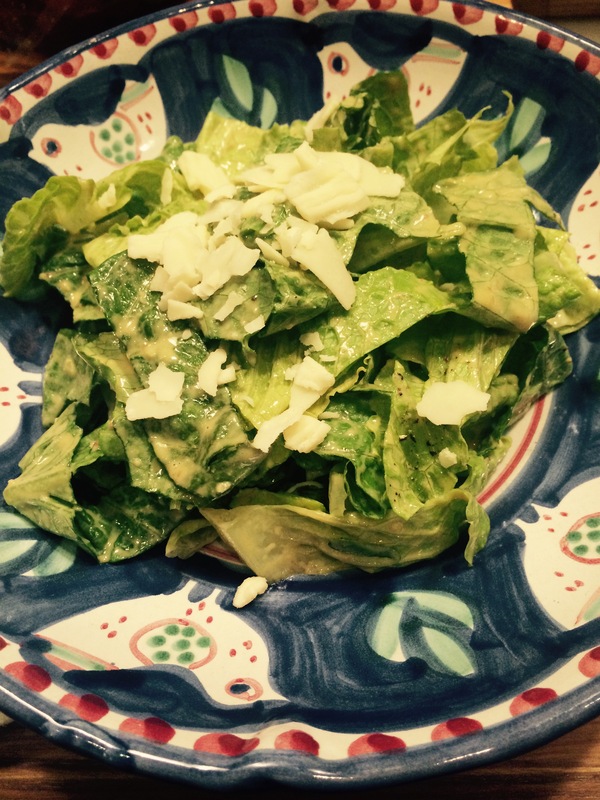 Grab some fresh romaine and a protein and you have a perfect meal for lunch or dinner.